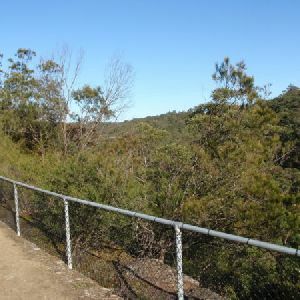 From the end of Schofield Parade, the walk follows the ‘Stringybark Ridge’ management trail for a short distance to reach an intersection just before a locked gate. 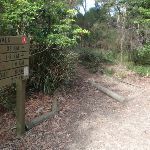 Continue straight: From the intersection, the walk passes around a gate and follows the ‘Stringybark Ridge’ management trail. 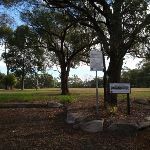 At the car park, beside the old pony club grounds, the walk bends to the left, passing around another gate, and continues around the cleared grounds (keeping them to the right). 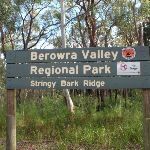 At the intersection behind the grounds (marked with a ‘Berowra Valley Regional Park’ sign), the walk turns left, following the management trail down the hill. 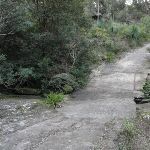 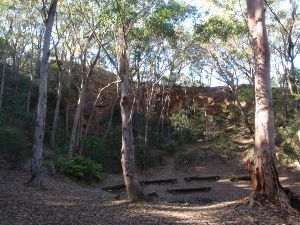 The walk descends, steeply in places, and immediately after a steep concrete section, arrives at the intersection (red Great North Walk track marker at the bush track to the left). 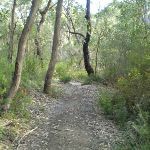 Turn right: From the intersection, the walk follows the management trail down the hill, soon arriving at ‘The Jungo’. 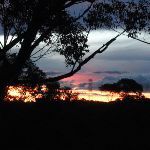 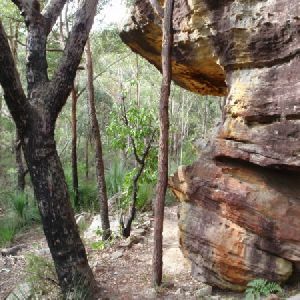 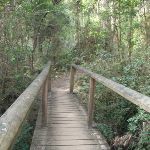 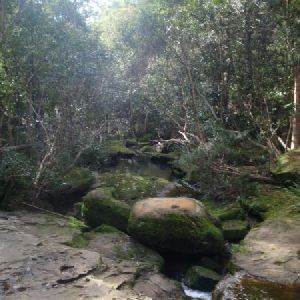 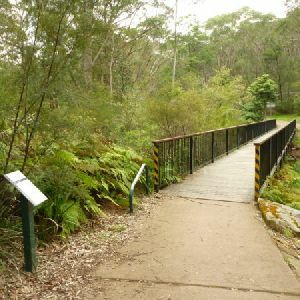 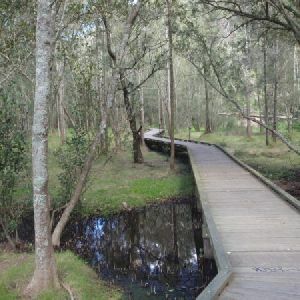 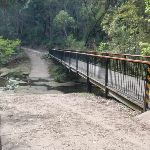 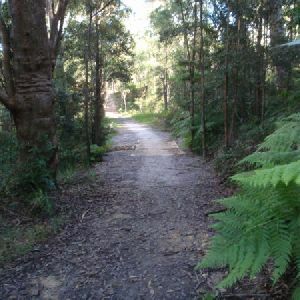 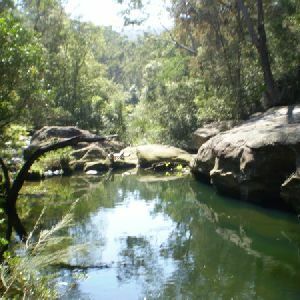 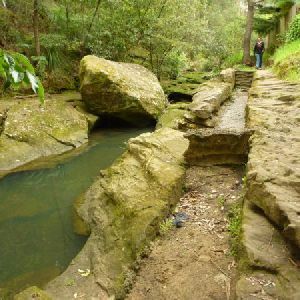 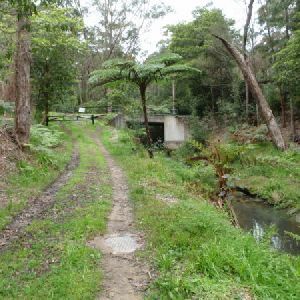 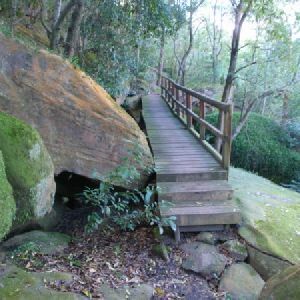 Veer right: From the intersection at the Jungo, this walk follows the ‘Bellamy Street’ Great North Walk sign through the campsite and along the pleasant track, leading into, then through, the ferny forest for about 700m before crossing a side creek on a timber bridge. 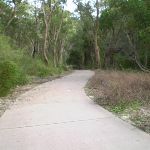 The track then continues in a similar manner for another 700m, coming to a T-intersection with a concrete bike track, beside a large bridge (over Zigzag Creek, on your left) where a sign points back along the ‘Great North Walk’.
. At the end of this side trip, retrace your steps back to the main walk then Continue straight. 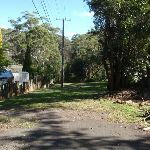 and come to the end of Bellamy St (Pennant Hills). 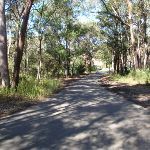 Continue straight: From the end of Bellamy St, the walk follows Bellamy St, then turns right into Thorn St and continues to the intersection with Redgum Ave. 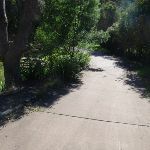 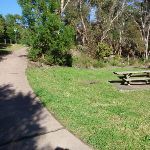 Turn left: From the intersection of Thorn St and Redgum Ave, the walk follows Redgum Ave down the hill, continuing over the grassed area when the asphalt ends. 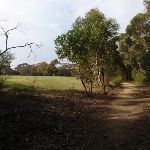 From the clearing at the bottom of the hill, the walk continues on the narrow bush track, almost directly under the lower set of power lines running down Redgum Ave. After crossing the small creek, the walk arrives at the end of the next asphalted section of Redgum Ave.
Continue straight: From the end of this section of Redgum Ave, the walk follows Redgum Ave for a short distance, keeping the houses to the left until reaching the point where the road bends sharply to the left (intersection with Laurence St). 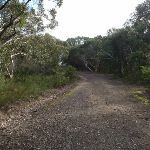 Turn right: From the intersection, the walk follows the bush track from the back of a small parking bay at the bend in Redgum Ave (actually the intersection with Laurence St). 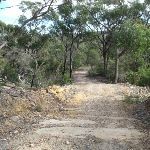 The walk follows the bush track ‘diagonally away (north-west) from’ the intersection of Redgum Ave and Laurence St. and comes to an intersection with an asphalted management trail. 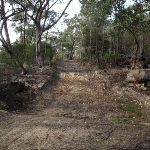 Turn sharp left: From the intesection, whilst looking away from the locked gate, the walk follows the asphalted management trail (south), soon arriving at the end of Schofield Pde. 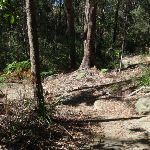 1.6km of this walk has short steep hills and another 1.2km is very steep. Whilst another 980m is flat with no steps and the remaining 460m has gentle hills with occasional steps. 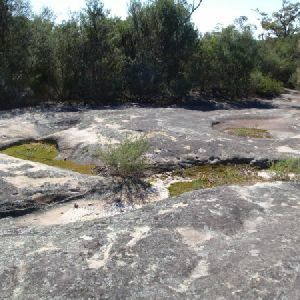 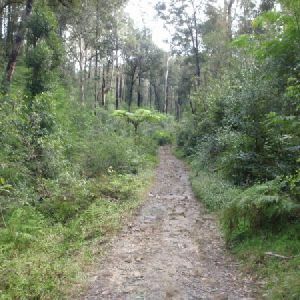 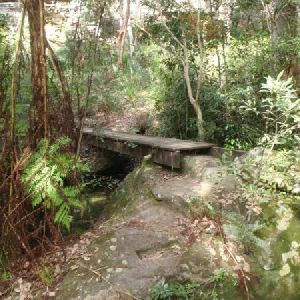 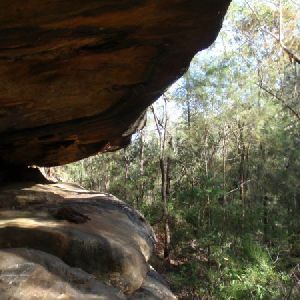 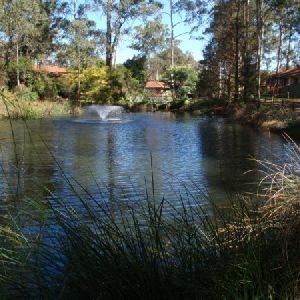 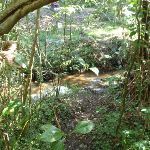 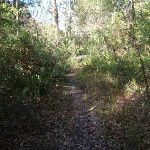 2.7km of this walk follows a clear and well formed track or trail and another 1.2km follows a smooth and hardened path. 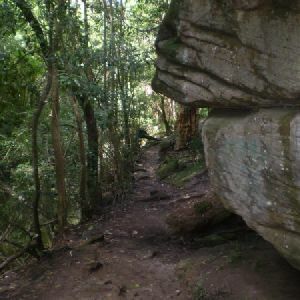 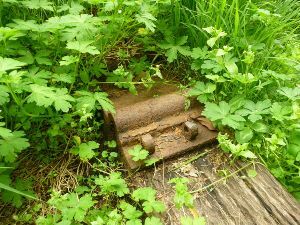 The remaining (290m) follows a formed track, with some branches and other obstacles. 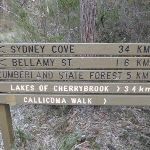 2.6km of this walk has directional signs at most intersection and another 1.4km has minimal directional signs. 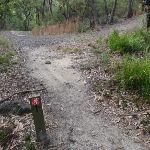 The remaining (220m) is clearly signposted. 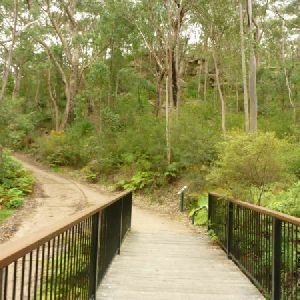 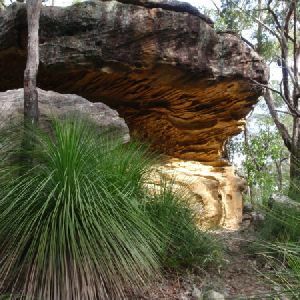 Around 2.6km of this walk requires no previous bushwalking experience, whilst the remaining 1.6km requires some bushwalking experience. 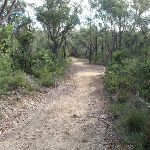 Around 4.1km of this walk is not usually affected by severe weather events (that would unexpectedly impact safety and navigation), whilst the remaining 140m is affected by storms that may impact your navigation and safety. 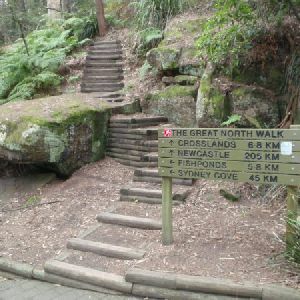 Around 4km of this walk has limited facilities (such as not all cliffs fenced), whilst the remaining 220m is close to useful facilities (such as fenced cliffs and seats). 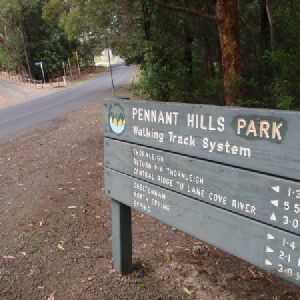 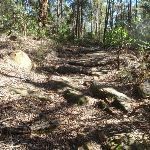 A list of walks that share part of the track with the Stringybark Ridge loop via Bellamy St walk. 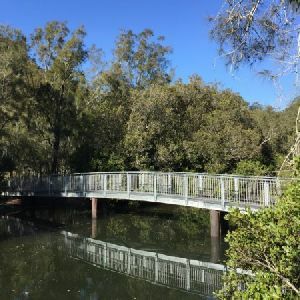 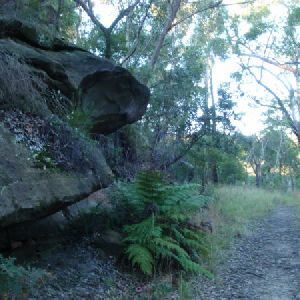 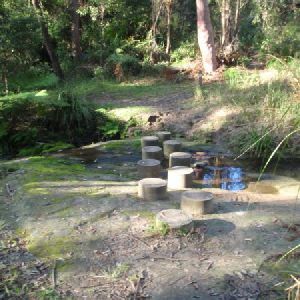 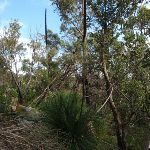 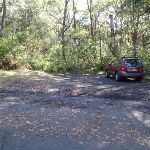 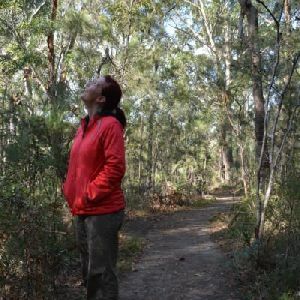 A list of walks that start near the Stringybark Ridge loop via Bellamy St walk. 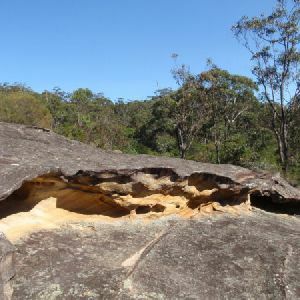 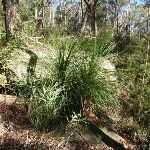 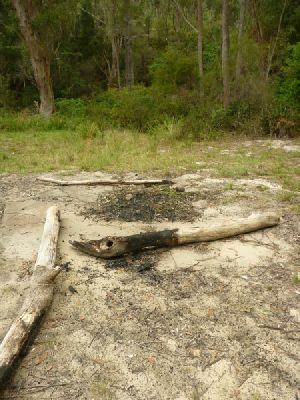 http://new.wildwalks.com/wildwalks_custom/includes/walk_fire_danger.php?walkid=nsw-bvrp-srlvbs Each park may have its own fire ban, this rating is only valid for today and is based on information from the RFS Please check the RFS Website for more information.